Internet today with the help of free browser is experiencing a dynamic change and great progression. The users of internet are compared to the stars in the galaxy. We see every day the popping up of new websites and social media. The introduction of new technologies like HTML5 and CSS3 has greatly added to ease the web browsing experience for the users. But not forgetting the only way to access to internet is through the browser. An incredible web browser filled with the most astounding features that one can ever experience. Citrio is a web browser that is based on the Google’s Chromium project. The developers of this browser bring to you a- never- seen- before download manger that helps you speed up downloads. This web browser brings to you downloads at astonishing speeds! At the very start of using Citrio, the browser will first ask you to perform a set- up and even import data from the other browsers only at the wish of the user. By logging to the Google account the user can sync data with great ease. And plus he/she can also get their bookmarks, extensions and app that have been saved or used earlier. Citrio provides an easy set up due to the fact that it is based on Google’s project. Citrio eradicates the need for an extra downloading client. It endows you with a download manager that is unbelievable when it comes to downloading things from internet irrespective of their sizes. Downloading media files like MP3 and video files are no big a deal! Citrio is truly a boon for youngsters. Downloading videos form the internet can be prove out to be a real pain. It is considered to be a frustrating task and people sometimes may get even impatient. The add-on provided by Citrio helps you download videos easily be it YouTube, Daily motion, Veoh and many other. Citrio comes up with social sharing buttons that help people share links on the social networking with great ease. Sharing links on the social media requires an extension that helps you perform the sharing activity without actually posting them on- by- one. Now sharing on Face book, Twitter or Google+ is just at a blink. Though there are several social media marketing tools available in the market that can be used but it feels really nice to enjoy social media features directly from browser. Citrio’s development is totally a flow on the go and so more amazing features are expected in the future. The developers are sure to make better and constant changes that are user friendly, in the future. 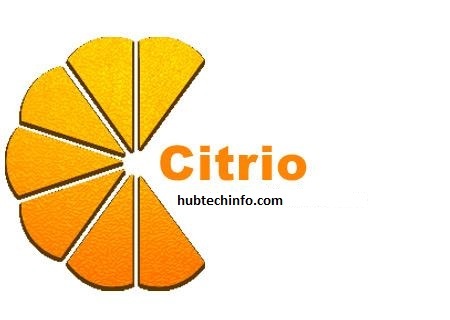 Interested users of Citrio can check out it’s blog for latest news and updates. As for now Citrio is available only on two platforms i.e. Mac and Windows. The process of downloading, installing and setting up of the web browser is very easy as the user just needs to follow the step- by –step instructions. It all starts with heading to the downloading page of Citrio and clicking on the download button. Installation will occur in no time.